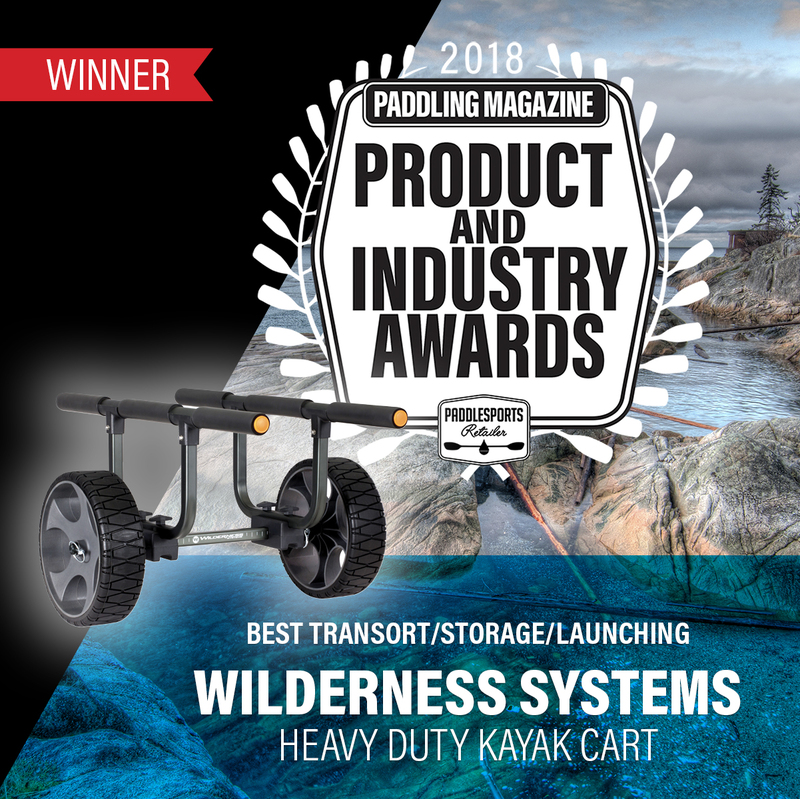 Greenville, SC (August 30, 2018) – Wilderness Systems is proud to accept a Paddlesport Industry award for Best Storage Accessory at this year’s Paddlesports Retailer for the Wilderness Systems Heavy Duty Cart. The Heavy Duty Kayak Cart is available in two sizes, large with 12” airless wheels that never go flat, rolling over rough terrain with ease, and 13” beach wheels, perfect for cruising over sand. The cart is designed to transport the heaviest of kayaks, supporting up to 450 pounds. The cart is easy to load, easy to unload with no kickstands or scupper posts required. Both cart types feature two security straps and are collapsible making them easy to store. Wilderness Systems’ and Dagger’s full lineup of products are available online at confluenceoutdoor.com, along with retail locations nationwide. For more information, visit wildernesssystems.com and dagger.com, follow the brands on Instagram at @wildyfishing and @daggerkayaks.